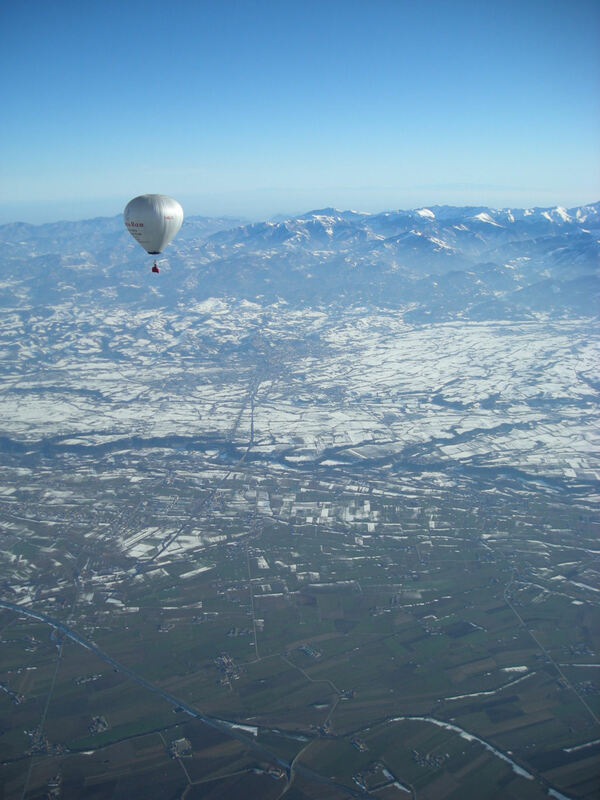 Early in 2007, a Japanese female balloon pilot, Minako Inoue, broke Pauline Baker's AX-4 duration record, with a flight of 7 hours 4 minutes, reducing Pauline's count of World Records to seven. The Irish team once again returned to Italy in January 2008 to attempt records in a number of categories, including gaining back the record that was broken in 2007. 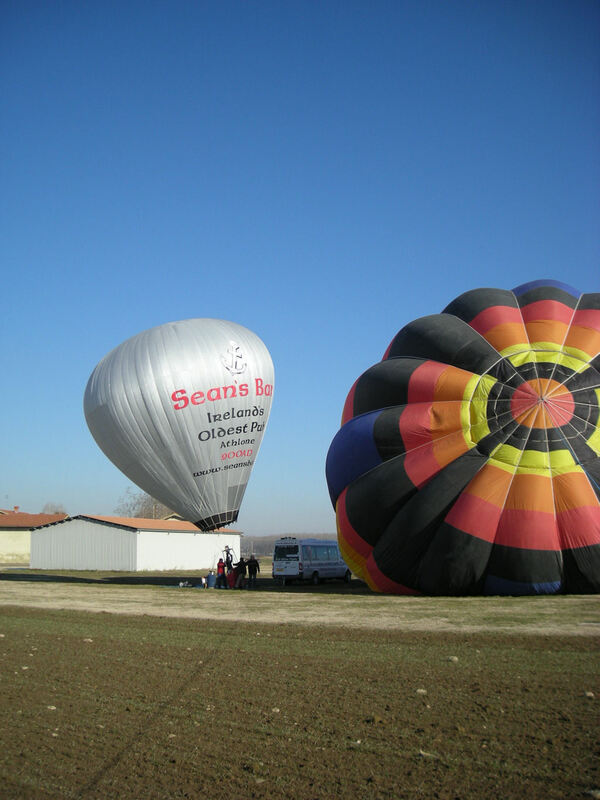 We took 5 balloons with us to Italy, including a slightly larger balloon that would carry two people, sat side-by-side in comfortable seats. The plan was to head to Mondovi, in the Piemonte region of northern Italy, where the geography is excellent with a huge wide-open valley where weather conditions are favourable for balloon flying 300 days a year. 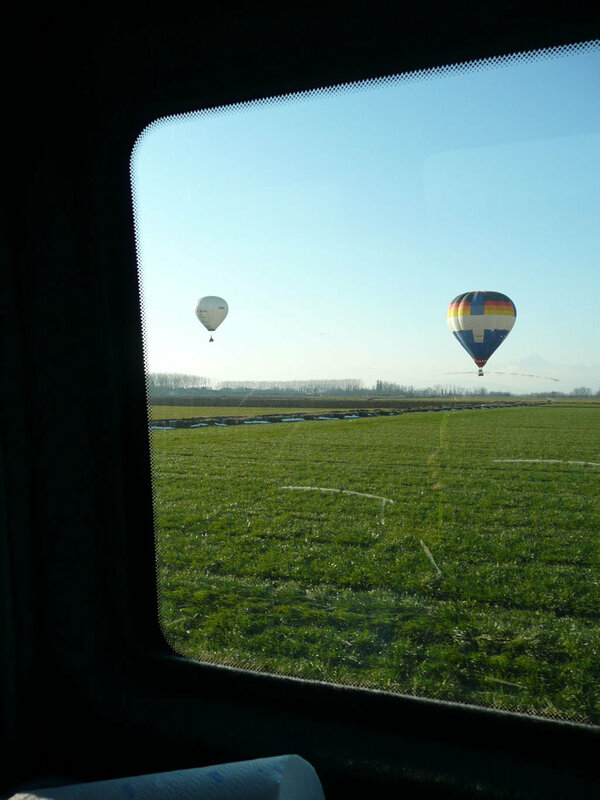 We arrived in Mondovi on the 9th January, just two days after the annual balloon meet in Mondovi was held. 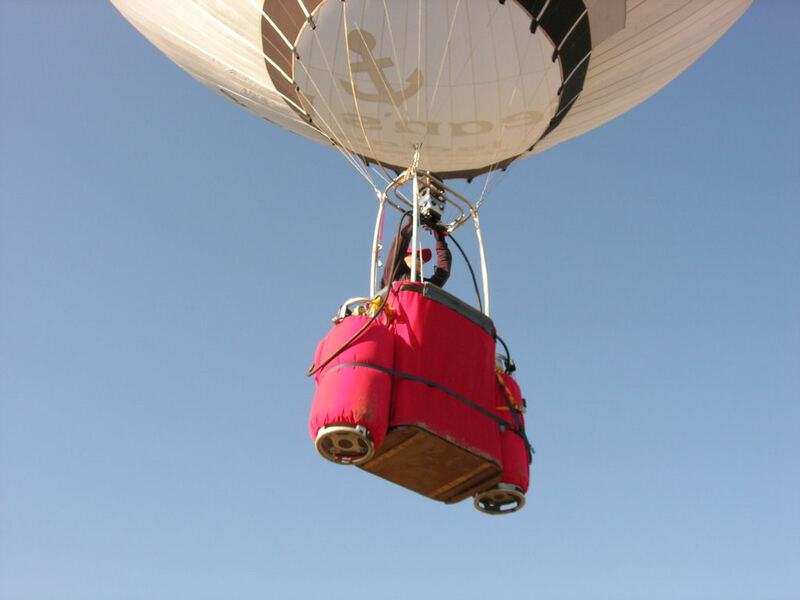 Another reason that Mondovi was chosen was that not only did Pauline's piloting tutor, Giovanni Aimo, live in the town, but so did Paolo Bonanno, probably the highest regarded hot air balloon burner designer and builder in the world. Paolo was commissioned to build us a new burner for the new record attempts as the burner was seen as being the weakest link in the previous attempts in early 2007, despite still winning the records that were attempted. The plan was to carry out some test flights and maybe attempt a duration record if the conditions were cold enough. Sadly, the conditions in the region were very mild, meaning that a change in strategy had to be adopted. Despite the mild weather, three test flights were carried out and a number of modifications made in preparation for the real thing. The small size of the 21,000 cu ft balloon can be seen alongside the 120,000 cu ft capacity of the accompanying balloon. 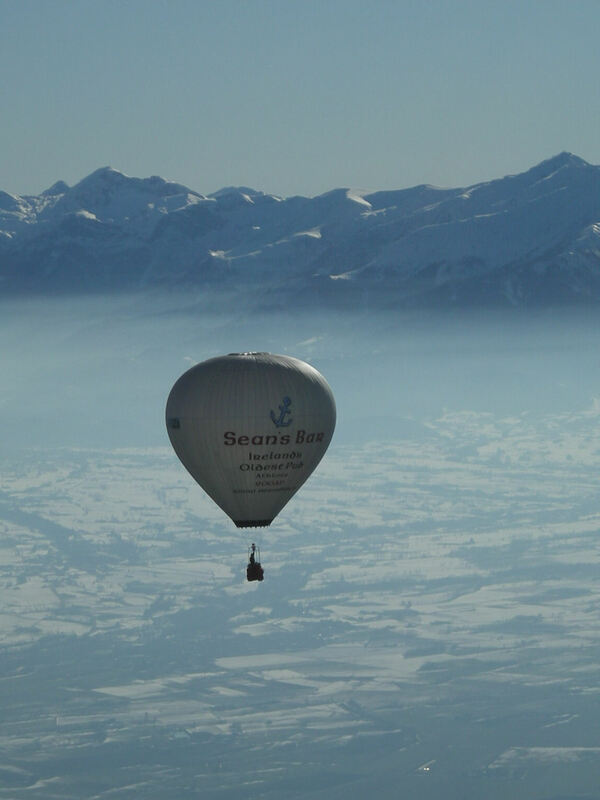 On the 18th January, the team travelled up to Switzerland to participate in the 30th Chateau D'Oex Balloon Festival. Similar mild conditions were experienced in Chateau D'Oex, with no fresh snow falling during the week, but excellent flying conditions were had on all but one day. The conditions were still not cold enough to attempt any sensible duration flights. 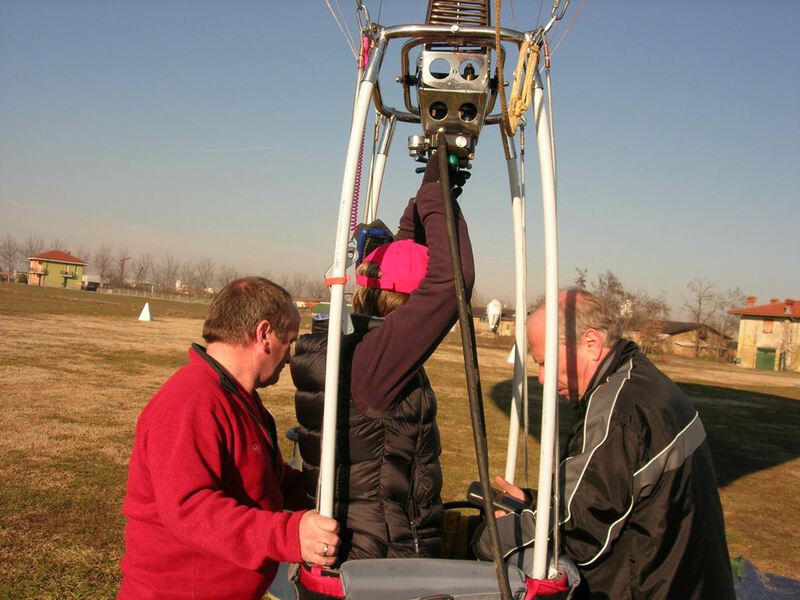 With this in mind, we closely monitored the conditions in Mondovi with the hope of returning there to attempt an altitude flight in one of the balloons. There was a high pressure forecast over the region on Thursday 24th January with little wind at any altitude, although with mild conditions on the surface (+10 deg C). It was decided to head back to Mondovi on the 23rd and make an attempt at the AX-3 altitude world record in the Colt 21A EI-DZA. 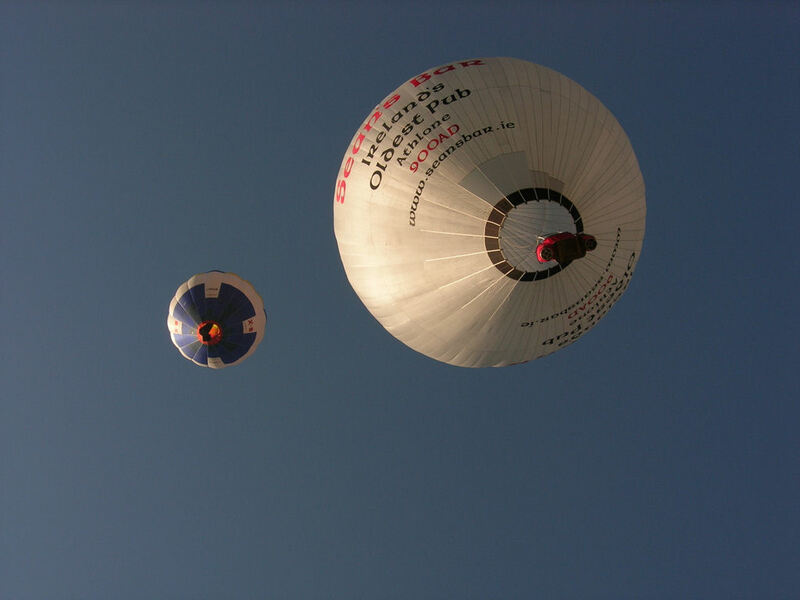 With the mild conditions, the temperatures at altitude were a little high to expect to break the general record of 20,036 feet, set by Coy Foster in 1986 but the female record of 9,679 feet, set way back in 1965, the oldest hot air balloon record on the books, was achievable, as was the record in the next higher category of AX-4 of 12,545 feet, set in 1980. The freezing level on the day was at around 10,000 feet, very high for January. Due to the small size of the 21A, it was elected to have a larger balloon fly alongside, piloted by Paolo Bonanno, that could carry the transponder and VHF radios. 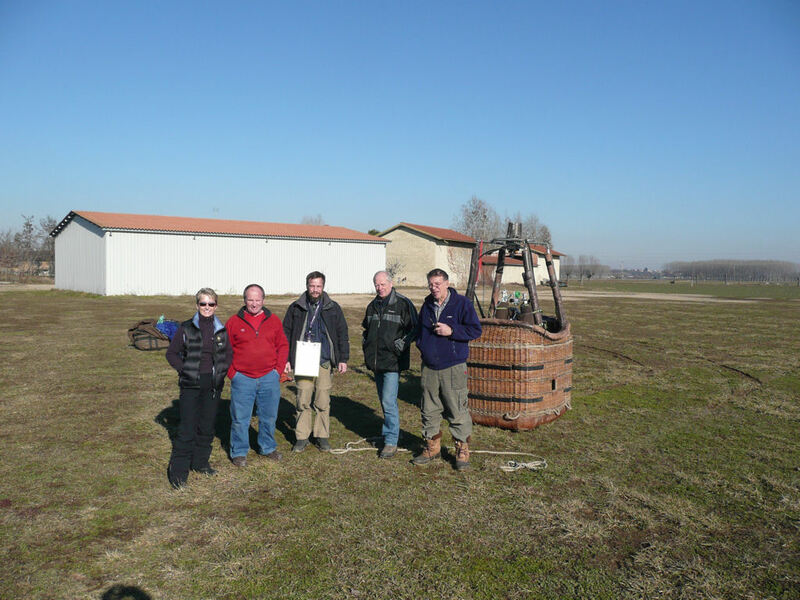 At around noon, we travelled to the airfield at S. Albano. 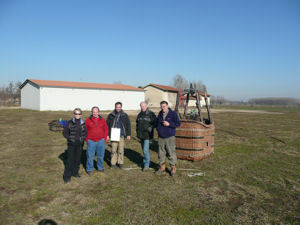 a few miles to the north of Mondovi and nearer Cuneo airport. Calls were made to Cuneo and Turin to file flight plans and gain permission to exceed the Class G airspace ceiling of 3,500 feet. Both parties were happy to grant permission, but the airspace clearance had already been granted to the military. Several calls to the military were greeted with a firm 'NO'. It was suggested that Paolo speak directly with the Colonel and, following his lunch, he finally granted his permission for a slot after 14:00hrs when conditions were even warmer! The two balloons were prepared and inflated. The 21A was flown with the lightweight Boland basket, Cameron mini-Mk4 burner and two 60 litre titanium tanks, one with 30% content for the landing phase. As a weight reduction measure, the support poles for the burner were plastic wiring conduit, much lighter than their regular solid nylon counterpart! A Flytec 3040, with envelope temperature sender, was attached to the balloon, although earlier tests in Paulo's workshop questioned the accuracy of this device. 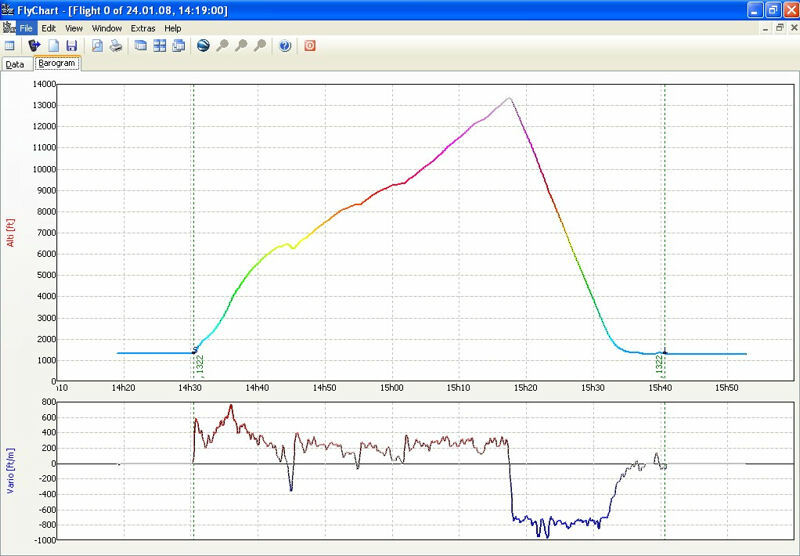 A test rig was built to test the sender against an engineering thermocouple and the Flytec always managed to read extremely low (100 deg vs 125 deg and 150 deg vs 190 deg). 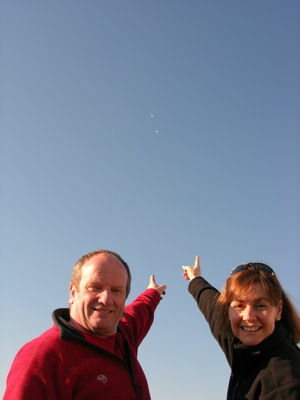 At 14:30, Paolo launched with Pauline shortly behind. Frequent calls were made to Pauline to report on envelope temperature as she was climbing at 500 feet per minute in the early stages. Due to the mild conditions, the envelope temperature was higher than was comfortable, so Pauline was requested to slow the climb. Despite a climb of 750 fpm at one stage, when Paolo ascended to within inches of Pauline's basket, her climb rate was slowed to around 200 fpm where a stable envelope temperature could be found, taking into account possible errors in the reported temperature. Due to the slow climb, and the mild conditions, Pauline's fuel tank started to register before reaching 10,000 feet. As it was clearly not possible to attain 21,000 feet (we had been given clearance to 22,000 feet) it was decided to climb to a comfortable margin to break the AX-3 and AX-4 female altitude records and then descend. The FAI requirements are to exceed the previous record by 3% on altitude flights (1% on distance and duration). At around 14,000 feet, Pauline started her descent, dropping at around 8-900 feet per minute before levelling off just above the surface. Despite the climb to over 13,000 feet, the two balloons landed 30 feet apart, less than half a mile from where they took off. We would like to express our sincere thanks to a number of people who provided assistance for our trip to Italy - FAI-appointed observers Oscar Lombardo and Edmondo Bongioanni, burner guru Paolo Bonanno and his lovely wife, Nicole, the Aero Club D'Italia, the National Aero Club of Ireland, the Irish Aviation Authority and the rest of the ground team, namely Mary Baker, Giovanni Aimo, Paolo Oggioni and Monica, Bubba and the ATC staff at Turin and Cuneo airports. 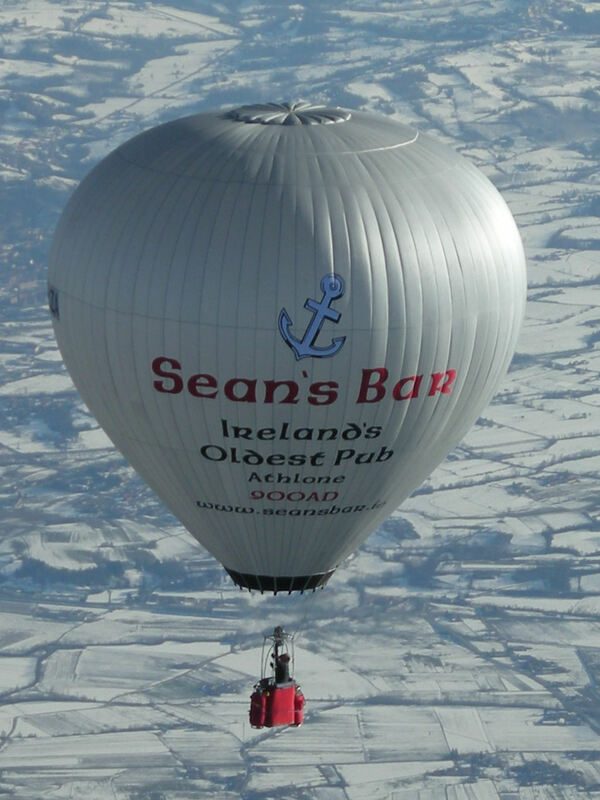 Lastly, we would like to thank Ashley and Timmy Donovan of Sean's Bar in Ireland who provided sponsorship for the trip. The team returned to Chateau D'Oex, where the rest of the week had light winds in the valley, giving us the opportunity to fly each day for fun.